New video by Shishani & Namibian Tales - recorded live in Amsterdam, May 2016. Tune in Live on Skype, June 8th for a live chat and intimate performance online. Show starts 8PM ET (USA) - which means 02:00 AM in Europe, 01:00 AM in Namibia! ;) Log in via Skype and connect with: TalkCenterAmerica to join the show! Once upon a fairytale, we shot a video in Namibia's gorgeous Ghost Town, Kolmanskop: "Calling You." "New year, new discoveries. The flamboyant songstress Shishani Vranckx excels in powerful songs of afro-european origin. With Shishani & the Afro Namibian Tales she enriches the singer/songwriter genre through adventurous harmonies and an experimental instrumentation. That eternal guitar is now accompanied by cello, kora, mbira and percussion. Promise of 2016." "Nieuw jaar, nieuwe ontdekking. De flamboyante zangeres Shishani Vranckx excelleert in krachtige songs van afro-europese oorsprong. Met Shishani & The Afro Namibian Tales verrijkt ze het obligate singer/ songwriter genre via avontuurlijke harmonieën en experimentele instrumentele bezetting. Die eeuwige gitaar krijgt nu gezelschap van cello, kora, mbira en percussie. Belofte voor 2016." The latest video of Shishani & The Afro Namibian Tales “Desert Blues” is a journey through Namibia’s rich and often troubled history. With the support of the National Archives of Namibia we were able to find rare photography – each picture telling a thousand stories. We hope you enjoy it. 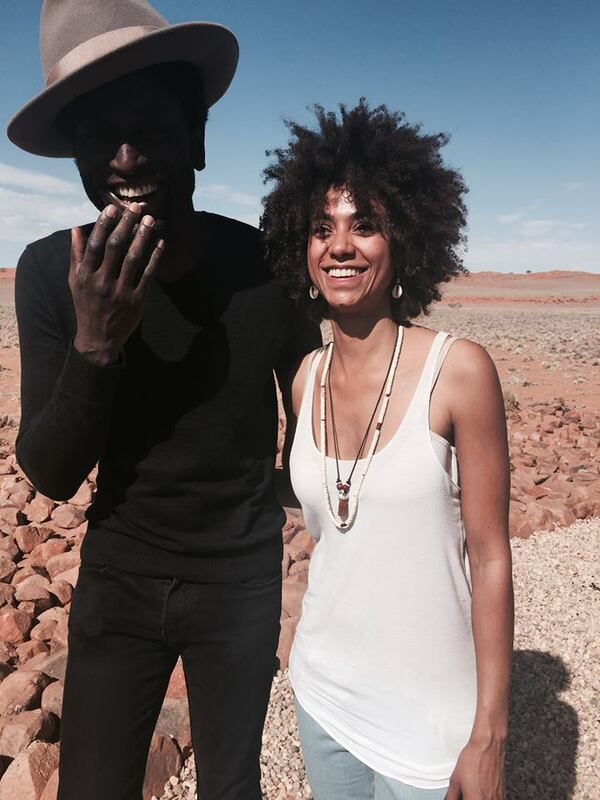 November 2015, Keziah Jones came to Namibia. Together with film director Jana Eleanor Bruckner, Endemic Productions (Film) and Michael Ott (Warehouse Theatre Namibia), Shishani & Keziah's management the team embarked on a magical trip to the Namib Desert. To be continued. October 10th 2015, Shishani & The Afro Namibian Tales recorded three new pieces at the wonderful Blue Note Hall in Amsterdam with engineer Marc Schots. Listen to "Itaala" online!